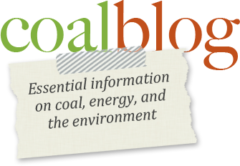 KING GEORGE, VA. (COAL AGE) —GE Power (NYSE: GE) today announced plans to convert its 242 MW coal-fired Birchwood Power facility in King George, Virginia, US into a Steam Plant Services Innovation Center. The center, which provides sufficient electricity to power more than 240,000 homes, is to become a showcase for how the latest GE technologies can greatly increase the efficiency and flexibility of coal-fired steam power plants, while also reducing emissions. The new showcase will combine GE’s full suite of Digital Power Plant for Steam software solutions with expert operations, and align with GE’s global Powering Efficiency Center of Excellent (COE) initiative. The CoE provides customers with total plant solutions to upgrade their existing generation equipment. According to the U.S. Energy Information Administration (EIA), coal plants generate 41 per cent of the world’s electricity and will remain the second-largest energy source worldwide until at least 2030. In the US, coal will likely provide 20 per cent of electricity for the next 20 years and in China and India, where coal fuels more than 70 per cent of electricity generation today, coal is likely to remain a primary fuel source for even longer. While many utilities and power producers around the world have committed to a lower carbon energy future, clean coal solutions are clearly needed to balance growing energy demand, low plant load factors and environmental impact. Birchwood Power facility is jointly owned by GE Power Services and J-Power USA Development Co., Ltd. On May 1st, GE’s Power Services assumed the Operations and Maintenance (O&M) services contract at the plant. As part of its suite of services, GE is installing its advanced digital solutions which will equip plant O&M technicians at this site with new opportunities for process and productivity improvements by leveraging machine and sensor data, analytics and boiler optimization technologies across the entire plant. By making improvements from the fuel supply, within the boiler, and across the balance of plant, there is potential to incrementally impact efficiency, flexibility, availability, while reducing emissions, outage and maintenance costs. Installation is planned for August 2017. Introduced in 2016, GE Power’s Digital Power Plant for Steam software, addresses machine and fleet performance. Asset Performance Management (APM) software continuously monitors steam plant equipment health, enabling operations teams to make decisions that enhance plant performance. Benefits include reducing unplanned downtime up to five per cent, reducing false positive outage alerts up to 75 per cent, and reducing operations and maintenance costs by up to 25 per cent. Operations Optimization software, which includes boiler optimization software, manages complex boiler interactions to improve boiler operations performance and consistency. Benefits include: improvements in heat rates, reduced tube failures, and slagging, as well as reduced NOx and CO2 emissions. For every point of efficiency gained using digital solutions, CO2 emissions are lowered by two percentage points. This improvement in efficiency alone can reduce fuel consumption by 67,000 tonnes of coal per year with the same output for a 1,000 MW plant. that found CO2 emissions from the world’s steam fleet can be reduced by 11 per cent when existing hardware and software solutions are fully applied. This reduction in CO2 is equivalent to removing 250,000,000 U.S. cars from the road.GE operates more than 30 power plants around the world, managing 15 GW of electricity generating capacity.